Elka Suspension, a long time manufacturer of performance ATV products has recently turned their sights onto the Jeep JK Wrangler and, with the help of TeraFlex, has developed a high quality reservoir shock made specifically for it. And, after running them for a few months now, here’s what I can tell you about them. Installing a lift of any height on your Jeep JK Wrangler will cause your axles to shift from center. Up front, your axle will shift over to the driver side and in the rear, it will shift over to the passenger side. This shift occurs because your factory track bars are fixed in their length and are attached to only one side of your Jeep’s frame rails and to the axle on the opposite side. As your Jeep goes up, your axles will get pulled to the side of where your track bar is mounted on the frame. 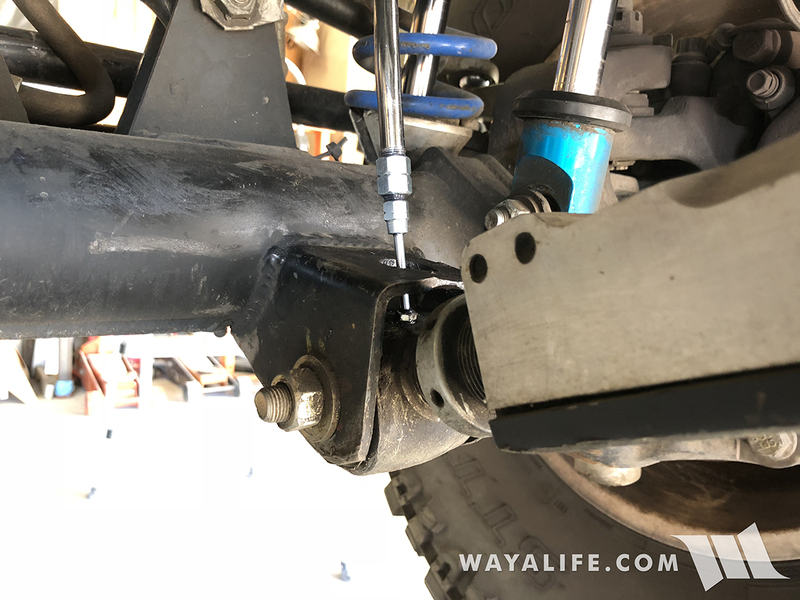 If you like to drive hard and fast down chewed up desert roads and washes, you know just how bone jarring of a ride it can be especially when your factory bump stops make full contact with your axles. And, short of installing a very expensive coil over suspension system on your Jeep JK Wrangler, there really hasn’t been a whole lot you could do to soften things up or, at least not until now. After lifting your Jeep JK Wrangler and installing much bigger tires, you may experience a noticeable increase in the amount of bump steer you have when playing out on the trail. This is of course completely normal as the size of your tires will exaggerate bump steer and a good way to help dampen it is to install a heavy duty steering stabilizer. Or, if you really want maximum dampening, I would recommend picking up a heavy duty dual Steering Stabilizer setup like the kind that Rough Country makes.